With so many visual marketing ideas to choose from, it’s hard to know where to start. A compelling graphic is like eye candy for your content, but do all types of visual content boost your marketing? Let’s take a look at what visual marketing is, and 15 Powerful Visual Marketing Ideas that can boost your results. We all know that content marketing is about creating value for your audience and sharing it in a way that is useful to them. Visual content marketing serves the same function. It just offers another medium via which your content can be shared. This is especially true today with visual content being the preferred content form of social media platforms. The right kind of visual content can be the difference between ads and graphics that convert and those that make little impact. How do you create or select visual content that produces engagement and sells? And how do you wean out visual marketing ideas that do not boost your results? In this post, I’ll share proven examples of visual marketing ideas successful brands have used to make their content marketing effective. Put these visual marketing ideas to use right away, to give your results a boost. Visual content can also evoke emotions. You have heard of the expression “a picture is worth a thousand words,” and that is certainly true of visual content. TOMS Shoes is an example of a brand that uses visual storytelling in their content strategy. Their social media channels feature photos of their products but also the social impact they make. The “One Day without Shoes Campaign is an example of this. TOMS donated a pair of shoes for every shared photo of a pair of bare feet with the hashtag #withoutshoes. As a result of their efforts, they managed to get major celebrities, such as Pink, on board. Why did it work for TOMS? 25% of TOMS customers are from outside the US, which makes that focusing their efforts on an international social media platform like Instagram achieved success. They weaved a great story and set an appropriate mood around their products. They gave the audience a sense of fulfilment – the audience feels they are doing good just by posting a picture of their bare feet – and made it a social challenge. What does 10 years of giving together look like? With help of our customers and giving partners around the world, we’ve been able to give over 60 million new pairs of shoes, restore sight to over 400,000 people, provide over 335,000 weeks of safe water, and help to support safe birth services for over 25,000 mothers. No matter what content form you use in your posts on any platform, one thing we can agree on is that compelling images make a difference. Take, for example, Volkswagen. On their Facebook page, Volkswagen has created a visual timeline of the company’s past to educate its consumers about its history and evolution. They use the Facebook feature Milestones to commemorate the history of their company. This gives the consumer a cultural lesson on the background and the experience of the VW brand. 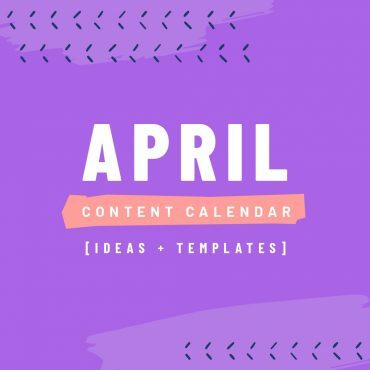 To make the most of your visual content, you need to be able to create images and schedule them with ease in coordination with your content planner. This is where online tools can help. Use Easil, for example, your graphic design needs, and CoSchedule for your planning/scheduling needs. Memes are a form of communication that transmit a social idea or a cultural symbol – usually picture-and-text images that spread online. They can be a great source of visual marketing ideas. The ad first appeared in newspapers, but the clever captions and celebrity intrigue captured people’s attention online as well. Some researchers say they can accurately predict the spread of memes based on science. 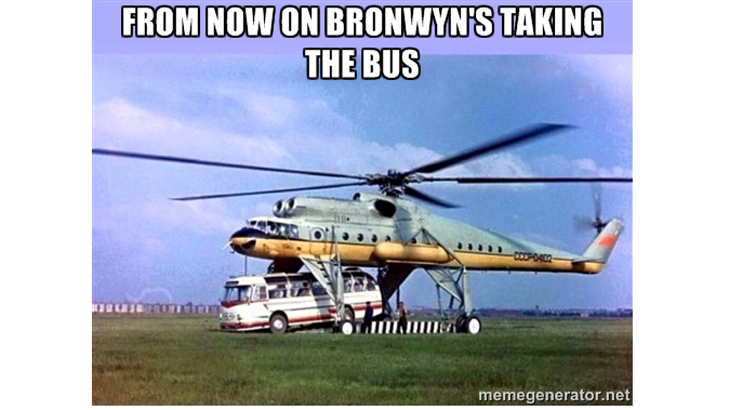 When Australian politician Bronwyn Bishop was embroiled in an expenses scandal (she took a helicopter flight the short distance from Melbourne to Geelong for a fundraiser at the cost of $5227) a spate of “Choppergate” memes popped up. Keep an eye out for memes, especially those that have gone viral recently. 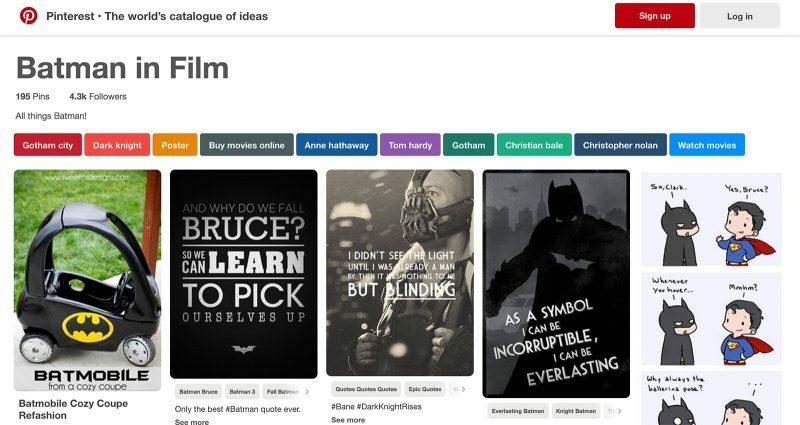 They can provide inspiration for visual marketing ideas. Decide on a medium. Photos are the easiest to use and the most popular. Keep it short and simple to cater to enable your audience to consume the content quickly as they scroll through their feeds. But how can you compete with those quotes layered on a gorgeous image, especially if you are graphically challenged? Cooksmarts uses this visual marketing idea to enhance its content. They provide weekly plans and information related to cooking and health in the form of simple and easy-to-understand infographics. These are supplemented with detailed articles and how-to videos. 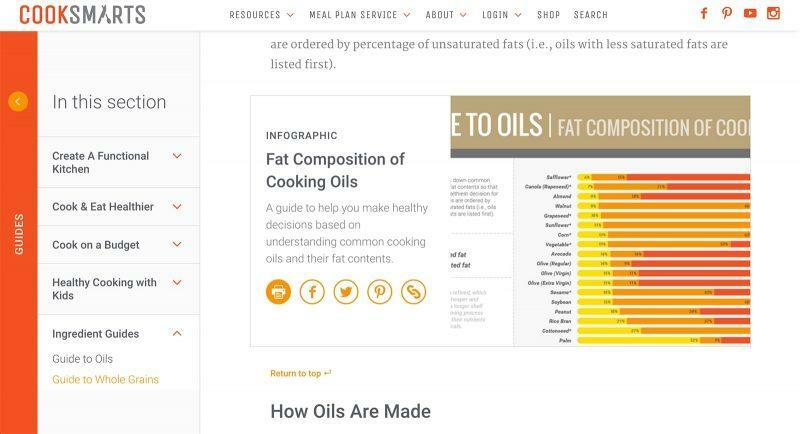 Their guide to cooking oils, for example, contains detailed information and explanations on the subject, combined with visuals and infographics. The company’s platform of choice is their own website with a posting schedule of once a day. The content includes meal plans, recipes, ingredient guides, information on cooking and health, kitchen essentials and organization tips. The audience can subscribe to receive infographics (including an A4 printable version). DiGiorno Pizza noticed a major upswing in its social sharing when the company started posting animated GIFs on its social media channels. Native video gets more reach on the Facebook newsfeed. 39% of consumers are more likely to finish videos with subtitles (we keep the sound turned off up to 85% of the time on Facebook!). Statistics provided from Animoto – read more here. When it comes to video, this means that you should upload video natively to the platform you are on, wherever possible. Facebook, for example, tends to boost videos uploaded natively on the platform compared to videos shared through a link. The same is true of images, which would explain why posts with content uploaded natively tend to get more engagement than those with links. To make the most of your videos, keep in mind the ultimate goals of the video platforms: they want their users to stick around for as long as possible. Taco Bell uses Snapchat to post short, witty and highly-targeted video campaigns. The focus is on weaving together moments to create a visual narrative. They don’t adhere to a fixed schedule but feature custom-sponsored Snapchat lenses, photos and videos. How do you make the most of disappearing, ephemeral content? Experiment with formats. For example, test using videos vs photos, background sounds vs no sound. Be inspired by TacoBell for “disappearing” visual marketing ideas! 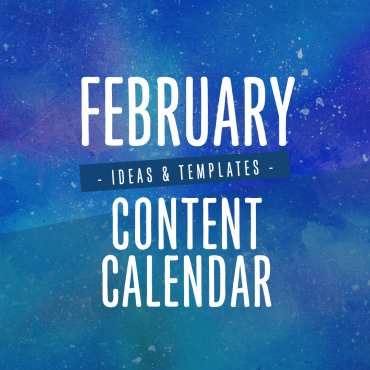 Visual content doesn’t have to consist of images only. Buzzfeed, for example, is known for its visual content, which includes infographics, animated gifs and videos in addition to static images and memes. All of which help tell a story. Check them out for visual marketing ideas. These days, when people think of advertising or visual content, they usually think of online spaces. However, offline spaces can work just as well for visual marketing ideas. You can find locations that aren’t very ad heavy and where traditional marketing can get you much-needed exposure. According to a study from advertising agency Havas Worldwide, young people are obsessed with food like never before. They view food not only as nutrition but also as a source of entertainment, a hobby and a craft. Stuck for visual marketing ideas? Look to food for inspiration. Instagram’s photo sharing option is great for the fun and unique photos, edits and memes that Dunkin’ Donuts likes to share with its followers. Their account is a great source of visual marketing ideas. They use an indirect promotional strategy on Instagram by sharing photos from the office as well as posting general, unique content. They also regularly hold audience photo submission contests. If you sell everyday household products, look at other companies that are creative with their products, for visual marketing ideas. 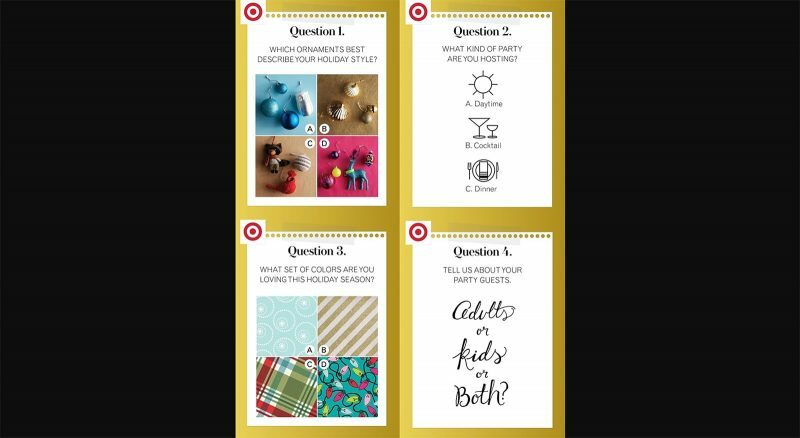 Target has also introduced in-store tags for their most pinned items. Sharing products in the context of unique and relevant to their audience topics has earned them over 527K Pinterest followers. Movoto, a real estate company, has used infographics to great effect with visual content related to the real estate industry. The company’s main platform is its website, which hosts a number of interactive real-estate related infographics. 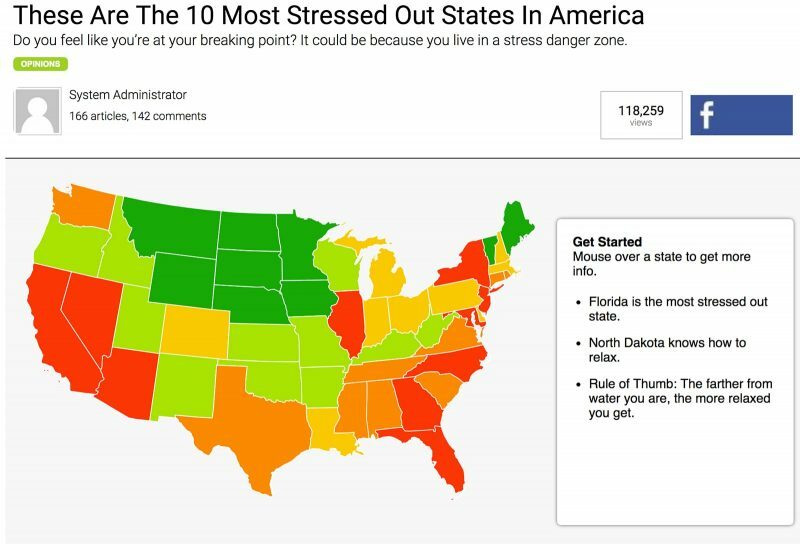 For example, ranking US states/cities by criteria such as stress, caring for others, how exciting the area is, unemployment, home improvement, gardening, decor, etc. Phew, that’s a lot of visual marketing ideas! 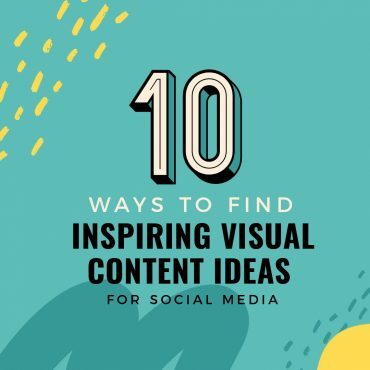 Use this post to refer back to when you need some inspiration for visual marketing!